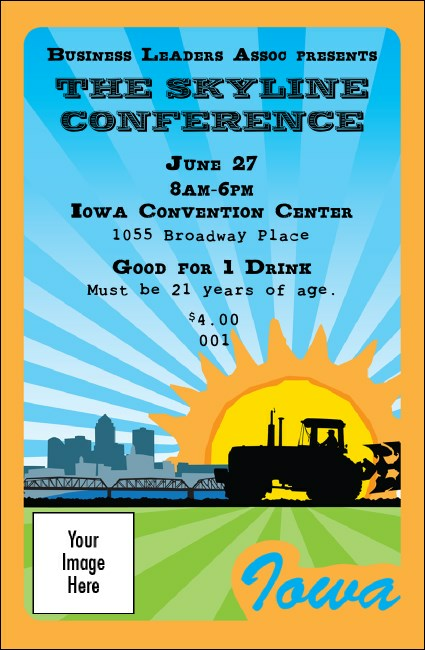 Planning for a big party in the Hawkeye State? No matter the local event, ensure guests breeze through concessions with the Iowa Drink Ticket. Each individually numbered ticket features a tractor and the sun shining over a city. Get ready for a great time with TicketPrinting.com.